Themis CEO, Dr. Karen Roche holds Bachelor, Masters and Doctoral qualifications relating to natural functional food ingredient development. Building on 10 years of doctoral and post-doctoral research experience in plant and nutritional sciences she has successfully completed further studies (GPA 4.0) in International Food Laws & Regulations at Michigan State University. 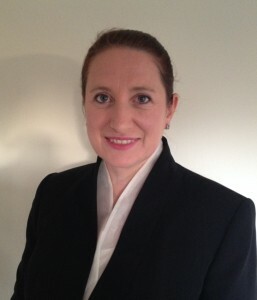 Prior to establishing her own business, Dr. Roche was R&D manager for Irish animal health company Reprodoc Ltd. During her work at Reprodoc she successfully secured State funding for two research projects, prepared client reports and completed dietary intervention trial data analysis for peer reviewed publication. Since then she has conducted regulatory status- and market-analysis of a number of food/feed ingredients including the natural pigment and anti-oxidant Astaxanthin and the natural sweetener Stevia for international industry clients. Dr. Roche has advised and presented to groups such as the Associated Craft Butchers of Ireland (ACBI), Enterprise Ireland and the Organic Trust Ltd., as well as SME’s on implementation of EU Food Information to Consumers Regulation 1169/2011 in advance of the 13th Dec 2014 deadline. In July 2014 Dr. Roche was presented with a certificate on completion of a course on ‘Legal Labels Ireland’ by Leatherhead Food Research. The course specialized in training on the new ‘Food Information to Consumers Regulation’ labelling requirements, which was implemented on 13th Dec 2014. One of 27 invited contributors to the Cork Foundation Ireland-US workshop ‘Leading Women Entrepreneurs’, July 2014. On 14th October 2014 Themis Food Advisory organised a very informative food labelling workshop entitled ‘Facts on FIC’ in association with the Food Industry Training Unit (UCC). The event was hosted at the Kingsley Hotel, Cork City with over 90 delegates. 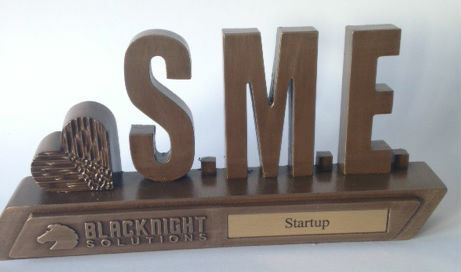 Winner of ‘Best New Start-up‘ award at the 2015 Blacknight SME Awards Ceremony in April 2015. Also runner up in the ‘Best New Product/Service from an SME’ category. Dr. Roche was an invited contributor to the UK Encyclopedia of Food and Health, writing a chapter on ‘Food labelling: Applications’ which was published September 2015. What inspired the name Themis? Themis was known as the greek Goddess of divine law and order. She was an early bride of Zeus and his first counsellor. She was the inspiration behind the name Themis Food Advisory as our service is all about advising companies on food laws and regulations.